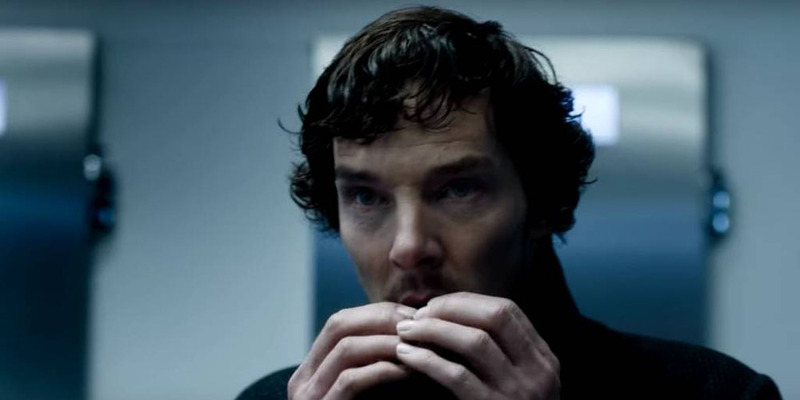 Is Sherlock Taking Darker Turns in Season 4? 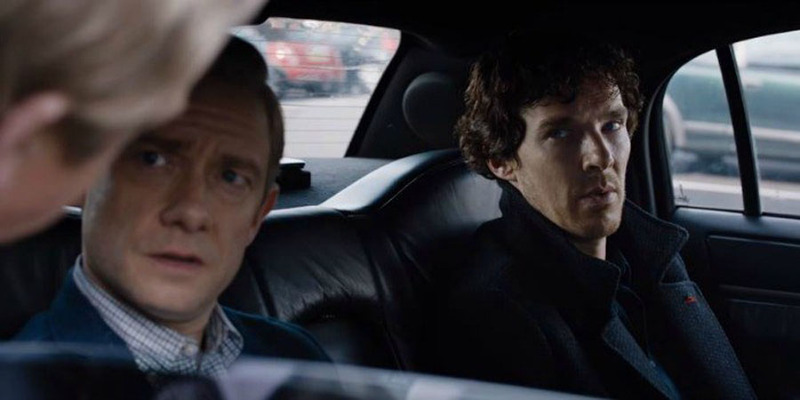 Sherlock has become one of the most beloved shows on television, despite the fact that it airs sparingly and seems to tease fans as much as it satisfies them. That case was made again in “The Abominable Bride,” a special episode that was released earlier this year and functioned as a sort of short film sideshow to the regular series. A three-episode fourth season (or fourth series, as BBC seems to insist on calling them) is due to air in January. But it’s a little bit difficult to know what to expect given that this has been a show that’s managed to capture various different interpretations, settings, and attitudes related to Sherlock Holmes lore. When Sherlock debuted in 2010 it was essentially the first major modern retelling of Sir Arthur Conan Doyle’s detective adventures, set in contemporary London and yet somehow falling right in line with how a lot of us always imagined the detective. Benedict Cumberbatch’s interpretation, while a little bit eccentric, conveyed all of the unique brilliance of Sherlock Holmes from the start, and Martin Freeman seemed as if he was born to play Dr. John Watson. Simply put, it worked, even in a modern setting (perhaps in part because London has so effectively preserved its own history that it can seem pleasantly old-fashioned). However, it quickly became just one of the many contemporary Holmes adaptations on television. CBS drama Elementary quickly followed, with an even greater departure from the classic Holmes story (in that Watson is a woman and the story takes place largely in New York City). Elementary is not unpopular, but a few years into its existence it may be fair to say that Sherlock is best recognized as the best contemporary interpretation of the Doyle tales. So, it has the modern thing down. But Sherlock has also perfected some other angles of the Holmes tale — perhaps most notably the bantering relationship between Holmes and Watson. This was arguably the main focus of the Robert Downey Jr./Jude Law films, which aimed to portray classic Holmes tales with an extra dose of action. Those films popularized a different sort of Holmes story, and arguably even inspired a series of Sherlock Holmes video games packed with the dark flavor and violent action from the films. But the films themselves were still best when there was witty back-and-forth between Downey Jr. and Law, and one can make the argument that Cumberbatch and Freeman have one-upped the movie stars in this regard. Cumberbatch is so deeply in his element shooting off snappy witticisms, and Freeman so good at appearing exasperated that the two of them play well off of each other whether they’re discussing a case in a study or hot on the trail of some sinister villain. There’s action in Sherlock as well, but it feels less forced, whereas in the films it has felt at times like a distraction from a lack of substance elsewhere. There is also a comic angle on Holmes, through which the Doyle stories have almost been caricatured over the years. There’s no major show or film that’s fully adopted this angle, but other appearances of the famous detective in popular media have felt decidedly less serious. This lighter take on Holmes is on clear display through the “Sherlock Mystery” slot arcade featured at an online casino outlet hosting games based on a number of fictional properties such as action and superhero films alongside more classic stories. Next to the games based on movies, the Holmes game looks almost cartoonish, with slot reels filled with items like Holmes’s iconic pipe and hat and a background design depicting a stereotypical Victorian London study. There’s no mistaking that it’s a Holmes experience, but it’s effectively the cartoon version. And while Sherlock clearly can’t go quite as far down that same route, it’s always been clear that the showrunners have understood that some look at these stories through a comedic lens. There are those who find the Holmes tales preposterous, and Holmes’s methods amusing, and Sherlock has generally catered to these sentiments by neglecting to take itself too seriously. It gets heavy, sure, but it always seems to be winking at us. So it’s clear that Sherlock is popular in part because it excels in ways that please different fans. It’s arguably the best at what it does from every angle — portraying a modern Holmes, presenting the bantering crime-fighting partners, and even keeping a sense of levity alive. But where Sherlock tends to truly thrive as a drama, rather than strictly as a take on the Doyle stories, is when it gets dark. There have been chapters of this saga that were genuinely spooky or unsettling, and it shouldn’t be taken for granted how tricky it is to pepper a show with those types of moments without making things too dreary. This is in large part what makes the early word on Series Four so interesting. In one interview with Amanda Abbington, who plays Mary Marston Watson, it was said that there would be a lot of crying in Series Four. Indeed, Abbington claimed to have cried frequently herself while reading the scripts for the episodes. Meanwhile, speaking after a panel at Comic Con, Cumberbatch shared some information as well, specifically saying, “it’s very dark” when he referred to the upcoming series. 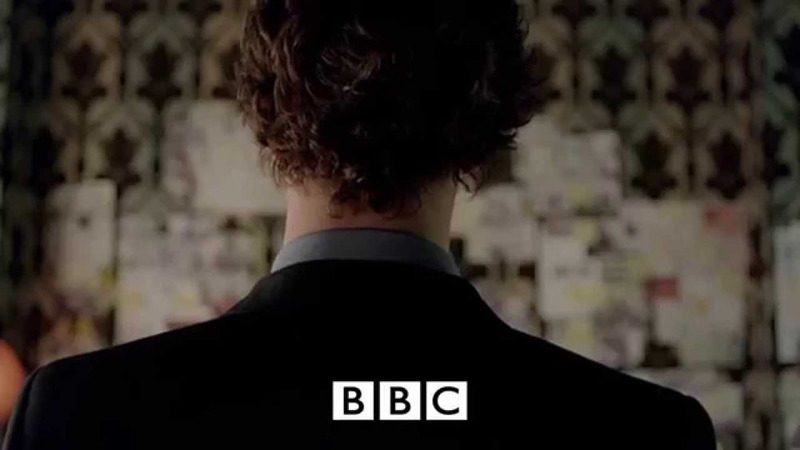 He called it “everything that Sherlock has been but evolved to a very exciting level.” These interviews aren’t exactly providing a lot of details, but they’re certainly indicating that Sherlock is heading to a darker and more serious place, and perhaps one that will focus more on those spooky and unsettling moments than on the lighter and funnier side of things. Series Four is expected to debut in January, so we still have a little while to go before we figure out how it will look. It sounds as if it’s taking a dreary turn, but if we know one thing from this show’s history it’s that it has an ability to delight fans from all angles.